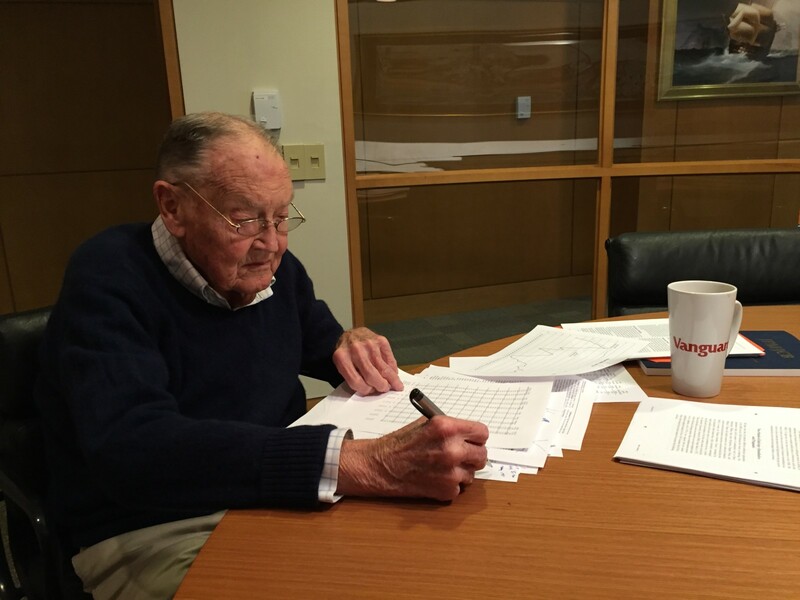 Jack Bogle passed away today at 89. He was a legend — that’s a word rarely used correctly in finance, at least not the way it should be used. Tomorrow, I will post a more coherent set of thoughts, but tonight, I have read enough wonderful things that I want to share a few here with you now. Let’s begin with the Philadelphia Inquirer — more or less the local paper to Vanguard, headquartered in Malvern, Pa. My friend Erin Arvedlund co-authored a lovely piece, more retrospective than obit. (You can read that here). The Inquirer also has a nice timeline history of his career. Bogle was a force of nature. I was privileged to sit down with the man in 2016 for 90 minutes of conversation. Really, all I did was give him the smallest of nudges, then got out of the way. It was delightful. 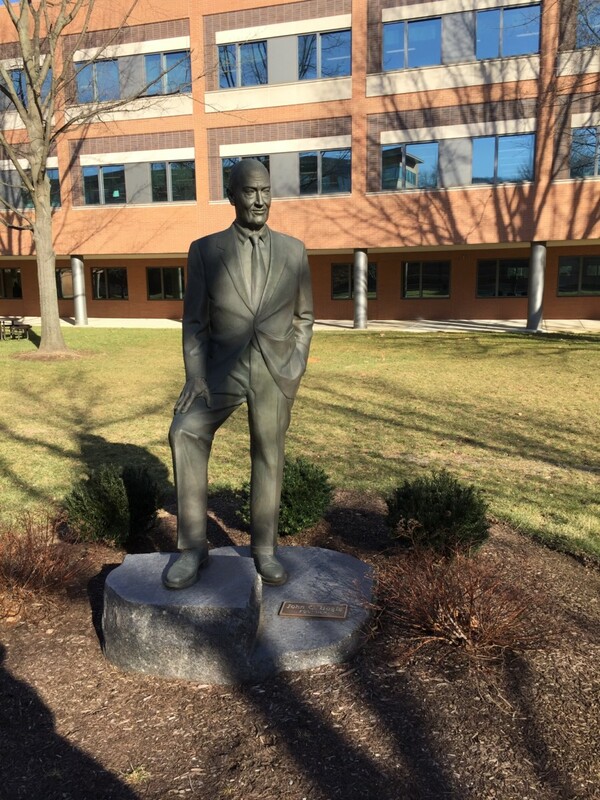 “If a statue is ever erected to honor the person who has done the most for American investors, the hands down choice should be Jack Bogle. For decades, Jack has urged investors to invest in ultra-low-cost index funds. In his crusade, he amassed only a tiny percentage of the wealth that has typically flowed to managers who have promised their investors large rewards while delivering them nothing – or, as in our bet, less than nothing – of added value. How many people in the finance industry ever receive accolades like that from a man like Buffett? 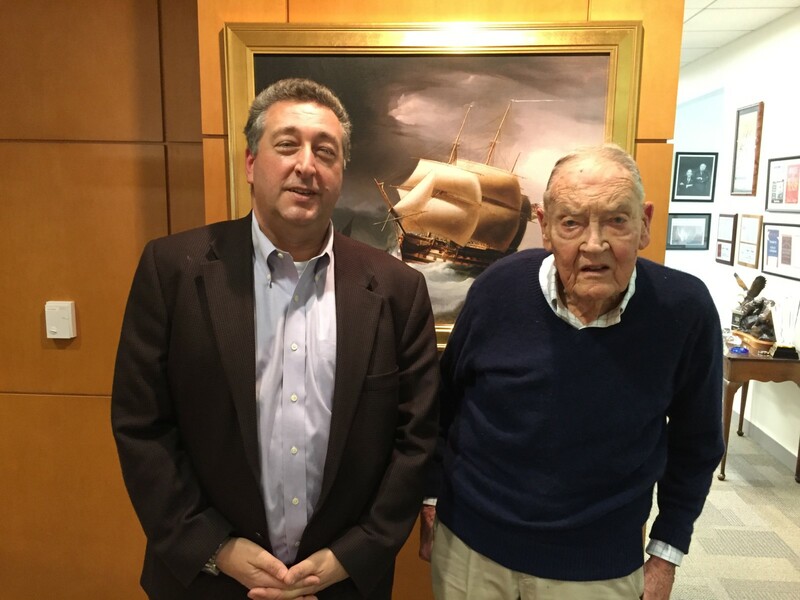 Bogle is peerless — there simply are no others he can be compared to. My colleague Eric Balchunas once calculated how much money Bogle actually saved investors since Vanguard was founded. He came up with $175 billion dollars — and that was in 2016. If you include “The Vanguard Effect” as the impact on other company’s fees came to be known, perhaps it was as high as a trillion dollars. Some of my colleagues have over the years had the opportunity to interview or discuss his works. Justin Fox wrote this up in 2003 for Fortune: Saint Jack on the Attack; Michael Regan did a Q&A With Jack Bogle in November 2016; it is required reading. 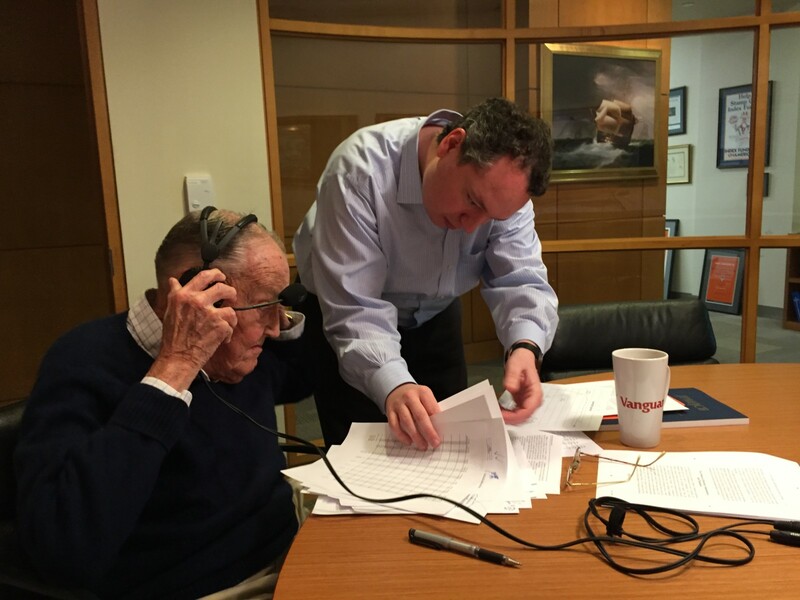 I especially like Rick Ferri’s word-smithing here: “You cannot measure the quality of a man by the size of his bank account, but in John Bogle’s case, you can measure it by the size of your bank account.” You can hear Rick’s interview with Jack here. The BogleHeads took note of Saint jack’s passing. “He could’a been a billionaire. Instead he made hundreds of thousands of us investors millionaires.” said one member of the Bogleheads community; “This man and his ideas have helped my family in uncountable ways since 1982,” said another. Some personal photos after the jump.